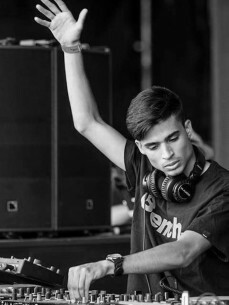 Javi Row (Javier Garcia Ramos), a nineteen-year- old DJ and producer from the Canary Islands, is the new star of deep and tech house and the winner of the world’s biggest DJ talent competition, burn Residency 2014, which took place in Ibiza. Even though Javi comes from a family that is in the world of classical music, he made a change and entered the world of electronic sounds, when he was only 14 years old. Encouraged by the fact that he had won a few local DJ competitions, Javi sent his mix to burn Residency mentors, which proved to be only the beginning of his journey. After a DJ competition in Ibiza, where he was working and learning from the greatest names in the industry, such as Carl Cox, John Digweed, Pete Tong, Paco Osuna, Carlo Lio and Marco Bailey, the young DJ has become the main favorite for all the future festival line-ups. Not only was he the most popular among his DJ colleagues while being on the white island of Ibiza, Javi was also the resident DJ in legendary world famous clubs like: Sankeys, Privilege, Café Mambo and Sands. Javi also won his 2014/15 residence on Ibiza Sonica radio and had his show broadcasted every Tuesday from 7.00 - 8.00 PM.